With all the world’s problems, who cares about a safe and secure national park? Plenty of people do, and in this age of political divisiveness, we could all use something that everyone agrees on. National parks, like Everglades and Biscayne, make Floridians and Americans proud, and the possibility of losing them would certainly rally people around a worthy cause. To do something now, contribute to my campaign to Swim for Biscayne National Park, at http://www.gofundme.com/Biscayne. In fact, we are losing these two parks. Almost all of the land in both parks will be underwater within a few decades, due to rising seas, and strong hurricanes could be devastating in the shorter term. Then there’s ocean acidification. Have you seen this sign? Most visitors don’t, because they arrive by boat. The coral reefs within Biscayne National Park, part of the extensive Florida Reef system, face 15 rounds of punches from all angles. The changing chemistry of the sea, cause by the absorption of too much carbon dioxide from pollution, puts a slow chokehold on animals such as corals. It will take decades to determine, but acidification could prove to be the strongest force of extinction ever seen by humans. This year, if predictions about El Nino come true, all coral reefs could be dealing with a devastating warming event. These events only need a few abnormally warm weeks to turn living corals into skeletons. The last major bleaching event in Florida was nearly a decade ago, and the likelihood of the next one keeps rising. If not this year, definitely plan on next year for more coral bleaching and disease. And it will keep getting worse, with no relief from climate change in sight. Beautiful water hides the scars underneath, caused by boats hitting the shallows. Clueless boaters are a daily threat to Biscayne National Park. Propellers rip through the shallow seagrass and leave scars that are common sights throughout the park. Fishers leave behind plenty of hooks and line, the most common type of marine debris in the park. When I was snorkeling there in 2013, I came across a large net lodged in a reef. It was too difficult to dislodge, but the authorities were notified. Just this month, an enormous 6,000 pound plastic pipe washed up on Elliott Key. What a nightmare. Just as litter accumulates, natural things decrease. Intensive fishing creates ecosystem imbalances by removing large numbers of creatures. For years, Biscayne National Park has been fighting to create zones closed to fishing, but local politicians and their fishing buddies won’t have it. You would be wrong to assume that a national park prevents hunting (such as fishing) and that is has plenty of money to operate. 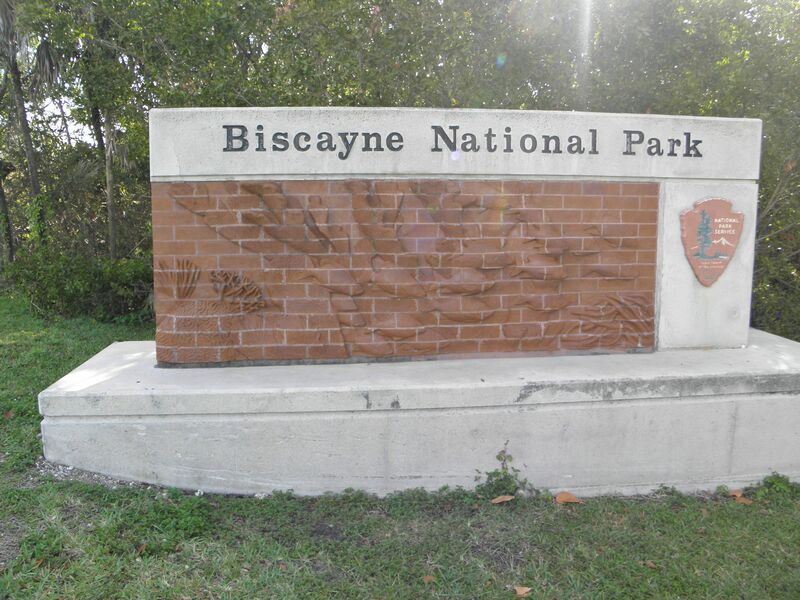 The budget for Biscayne National Park is around $4 million annually to fund all its programs and upkeep, about 40 employees, and more than 500,000 visitors. Although it has no entrance fee, Biscayne National Park would only need to charge $8 per visitor to cover its entire budget. Without such fees, it relies on taxes and other sources of income that may prove unreliable. The park isn’t going anywhere today, but at the same time, its future and its prosperity are not guaranteed. Little Orphan Biscayne needs people to care for it as much as they care about the Everglades. Where are the billions of dollars for restoration of the Florida Reef? Where are the laws to prevent boaters and fishers from hacking the ecosystem to pieces? 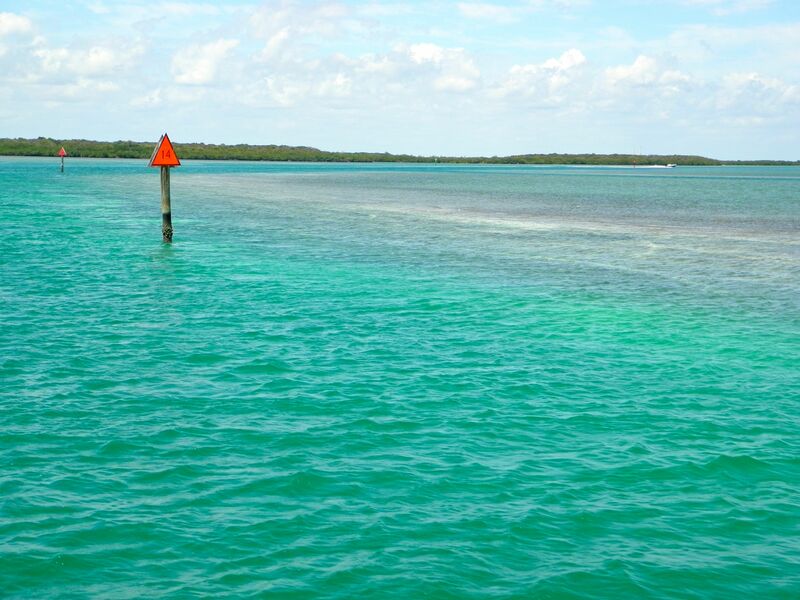 Swimmers, stand up and take stock of Biscayne National Park. Maybe our strokes could bring new life and needed attention to this underwater treasure. Next Post Next post: How can swimming in the ocean help a park?